This years’ theme for International Stuttering Awareness Day is ‘A world that understands stuttering’ – and here at START we think this is an incredibly important message to send. In order to achieve this, we have the goal to create a world-class book of youth and children’s’ poetry, artwork, and writing that expresses what their individual and unique experiences are as a young person who stutters. We can’t do this ourselves though, which is why we need you! 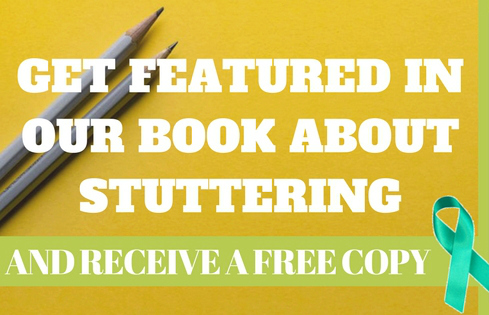 We need young people and children who stutter to share their thoughts and experiences – and in return you will not only see your work printed in a book, you’ll also receive a copy of your own to keep for free! You don’t need to be New Zealand’s next Picasso or JK Rowling, you just need to have experience as a person who stutters, and a message about this you want to share! A great way to get started is to think about how your stutter makes you unique, and how you might experience life differently to others –whether it is in a positive or negative way, we welcome all insights! How does stuttering taste, how does it smell, what colour would it be, and what emotions do you associate with it? These are all great ways to start thinking about how you might want to tell your story, or even what kind of picture you would like to make. But remember, there is no right or wrong way to express yourself and we look forward to celebrating all different ideas and voices! If you would like more information or to submit a piece for our book – or you would like to help your child submit a piece – please get in contact with us via email at support@start.org.nz. Previous Previous post: Why are males more likely to stutter?